You can get a lot of car for 49 large. 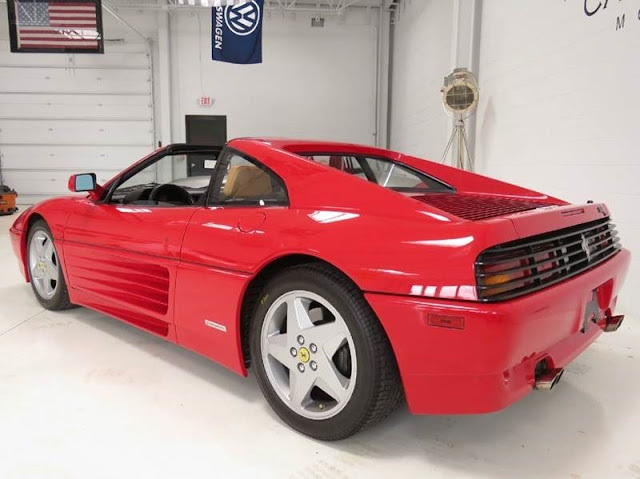 You could get a brand new Audi A6 or a BMW 5-series or a Chrysler Pacific Hybrid with a few options...or you could get a Ferrari from 1991. Let me put it another way, you could sign up for eHarmony or match.com, find some compatible lady, wine 'n' dine her for a few months,get married in a sensible ceremony and have a few kids...OR you could just go home with Kim Basinger tonight. Your choice. Find this 1991 Ferrari 348 TS here on eBay offered for $49,994 buy-it-now or make-offer located in Raleigh, NC. 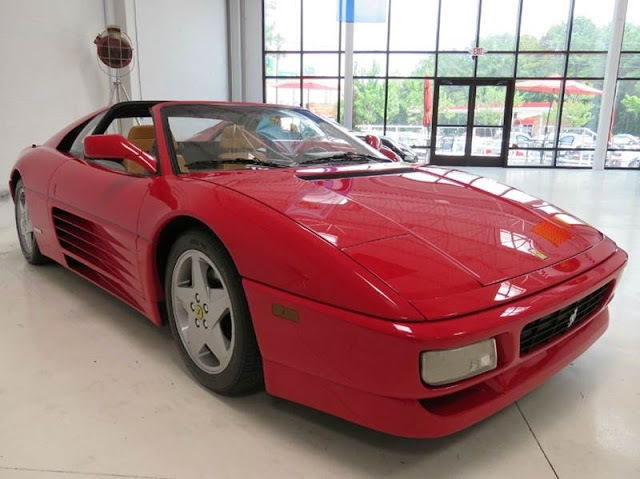 If you spent anytime under a parents (uncle, grandpa, or foster care) roof in the 80s or 90s, this was the car that you had on a poster in your room, right next to the equally large sized poster of Kim Basinger. 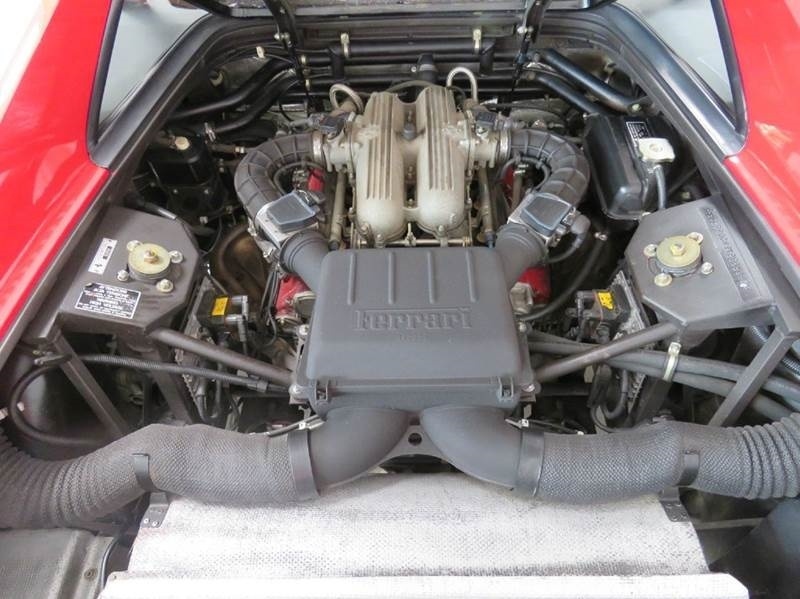 I can still remember the first time I saw a mid engined Ferrari up close and personal. It was a strip mall with a Round Table Pizza, and some dude rolled up in his red mid-engine Ferrari -- and the middle school kids just gawked like it was an alien. The dude who got out looked like a Cheech & Chong reject, but it didn't matter because nobody would have noticed if Bill Gates had pulled up next to him in a Porsche 959. 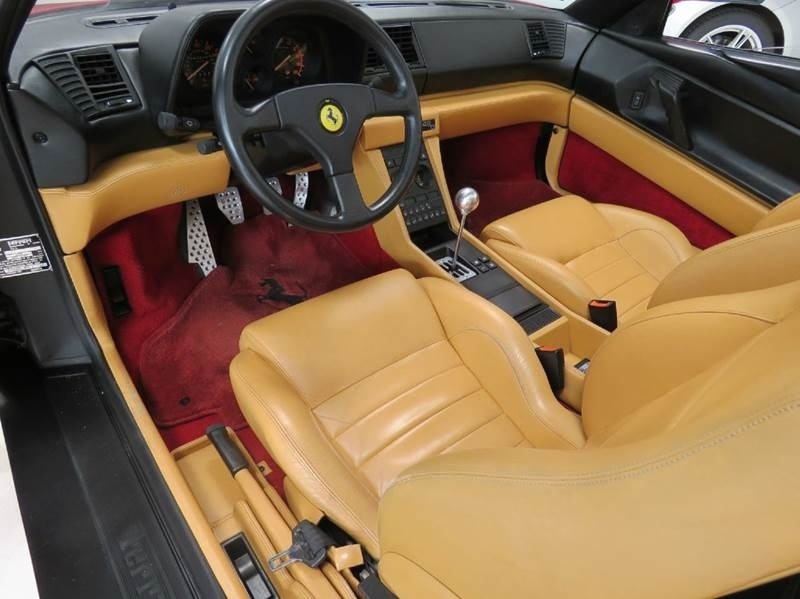 And THAT is the thing about a Ferrari: You can have the fastest Porsche, Pagani, Gumpert, or BMW on the planet and it will be upstaged by anything in red with the prancing pony on the front. Mounted in the middle is a 3.4 liter V8 that puts 300 horsepower and 238 ft-lbs of torque into a 5-speed manual tranaxle. The 348 will hit 60mph in about 5.5 seconds and run the 1/4 mile in 13.8 -- not blistering speed by today's standards, but it's a Ferrari. Who cares. With 43k miles on the odometer, this 348 TS has more miles that you'll see on most Ferraris, probably because routine maintenance can be murderously expensive. This is a mans car, no airbags or paddle shifters here. That is a beautiful car, the biggest problem is I can think of five different $10K cars I'd much rather own than one of these for the same money.